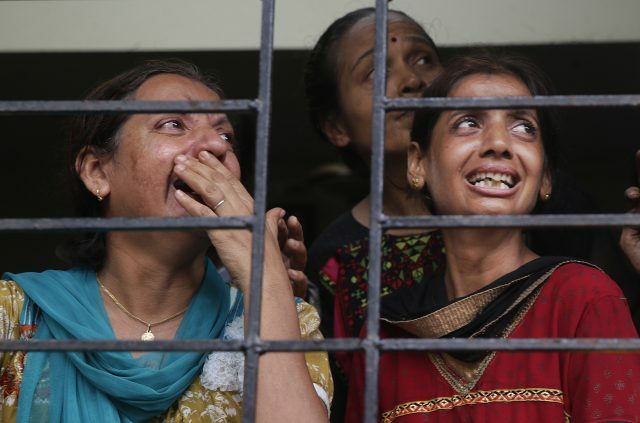 The death toll in a building collapse in the western Indian city of Mumbai has increased to 17, the fire department said. Rescue workers continued to search for survivors at the site where the five-storey building came crashing down on Tuesday. At least 13 people were injured and about a dozen are still unaccounted for. The building was in an eastern suburb of Mumbai, India’s business and entertainment capital. The cause of the collapse is still being investigated. Such accidents are common in India during the monsoon season, which is June to September. Poor enforcement of regulations encourages some builders to cut corners, use substandard materials or add unauthorised extra floors, leading to such accidents. In addition, old buildings continue to be used without adequate safety checks. On Tuesday, a portion of a 100-year-old building collapsed in the eastern city of Kolkata, killing two people.